If you're into beer meant for drinking and not just for tasting, do yourself a favor and track down the latest issue of All About Beer magazine. Even better, subscribe. Among other interesting reads, the March 2009 issue includes what I think is an important piece on session beer by Lew Bryson. I'm fully on board with his Session Beer Project, even here from high-octane Belgium. Give it a gander. 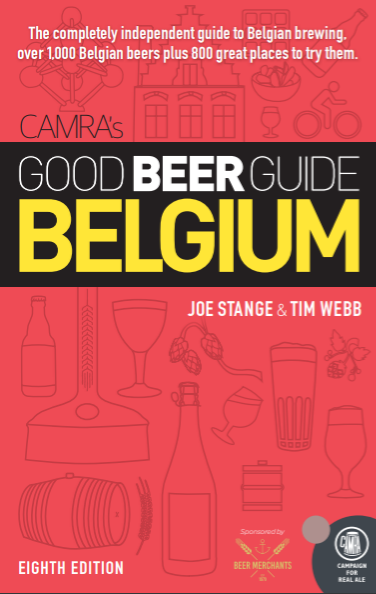 Speaking of All About Beer, have a look at Daniel Bradford's blog here, as he carries out a quest to become an expert on beer. Good stuff so far. And here I thought all you had to do to be an expert was post something on the internets. Meanwhile I'm excited as all-get-out to be attending the Pre-ZBF event at the Alvinne brewery this Friday. A lot of incredibly interesting stuff on that list meant for tasting, as it were. (Yes, I swing both ways.) Just the same I was relieved when Glenn from Alvinne announced that Dutch brewer De Molen would be bringing along its Amerikaans, which appears to be an American-hopped, British-style bitter. The payoff is that it's only 4.5% alcohol. Very reasonable. As tasty and intriguing as the other beers are bound to be, there was only one other below 7%. Many are around 10-12+% range. It's a de facto extreme beer festival. Nothing wrong with that, but I'm glad De Molen is bringing an escape hatch. Hope it lasts.